Silver Lupines Bloom in Chautauqua Meadow on a stormy spring morning. The Flatirons catch a vibrant albeit brief few rays of drop under sunlight from sunrise. 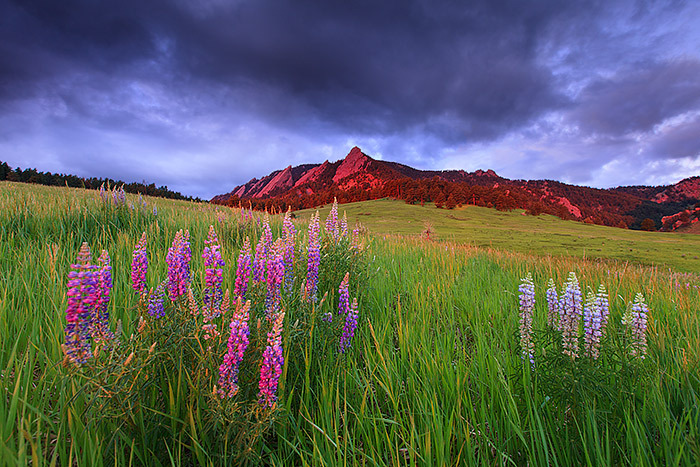 Within minutes the sun would disappear for the day and rain would soon fall on the green grasses and wildflowers in Chautauqua Park. Photo © copyright by Thomas Mangan.